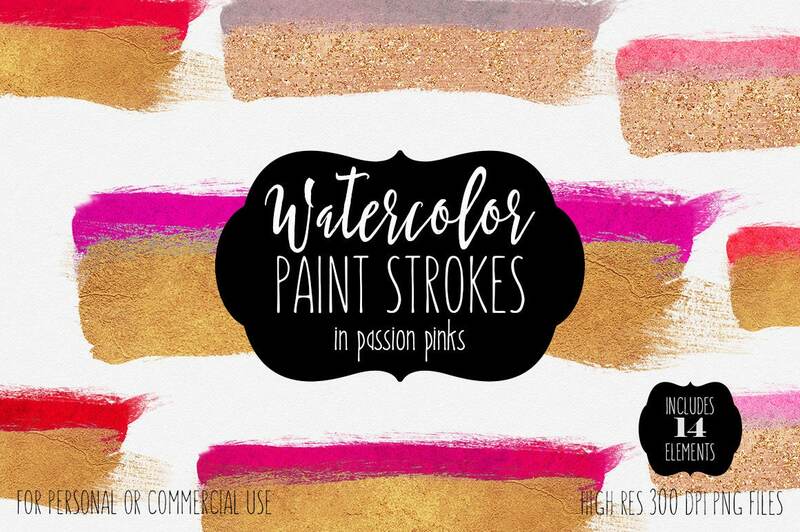 PINK WATERCOLOR & GOLD PAINT BRUSH STROKES IN 14 Colors, Coral, Peach, Gold, Pinks, & More! HAND-PAINTED Watercolor Texture Brushes CLIPART - 14 BRUSH STROKES SPLOTCHES elements - ALL Hand-Painted WATERCOLOR Textured ILLUSTRATIONS- Have fun creating with this set of WATERCOLOR & GOLD BRUSH STROKES!! For personal and COMMERCIAL USE! No strings attached! Our clipart can be used for anything, any purpose. No need to ask! 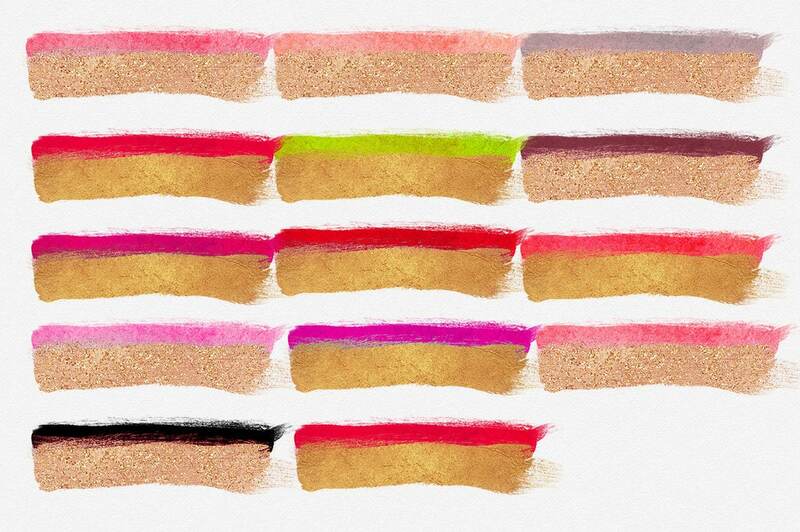 Large high quality digital Image of a WATERCOLOR BRUSH STROKES. Printable Graphics for iron on transfers, Websites, Crafts, Cards, and more. All images are large, High quality 300 DPI png files. - 14 WATERCOLOR BRUSH STROKE elements shown in first 2 photos - 300 dpi PNG files, with a transparent backgrounds each BRUSH STROKE measures about 7.5x2 inches & Can easily be sized up and down as needed!